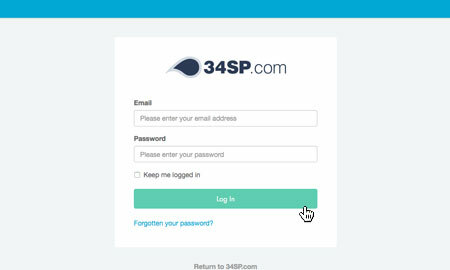 This is a quick step-by-step guide to installing phpBB via the 34SP.com Control Panel. 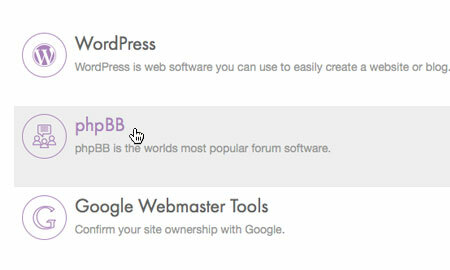 phpBB is the worlds most popular forum (or bulletin board) software, with a large set of highly customisable key features. For more information please visit phpbb.com. 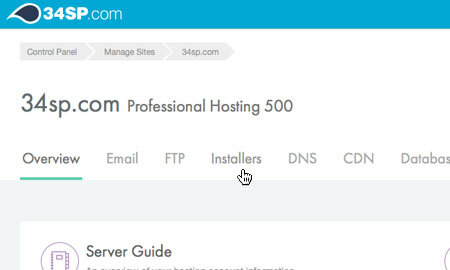 The 'One Click Installers' page provides a list of the different installers you can install on your 34SP.com account. 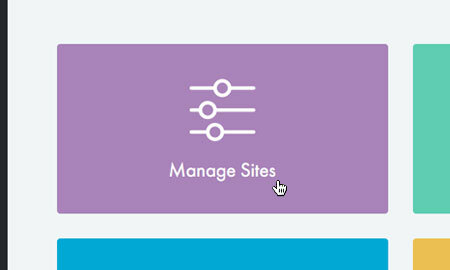 To continue installing phpBB, simply click on the 'phpBB' icon. This will bring up a form. Choose the domain or sub domain you wish to install phpBB to. Once you have selected a domain you can enter a directory that you wish to install phpBB to, for example "/forum" will install phpBB to "http://www.yourdomainname.com/forum". If you leave the directory field blank phpBB will be installed on the root of your website, for example "http://www.yourdomainname.com/". When you're done, click 'Install phpBB' to begin the installation. 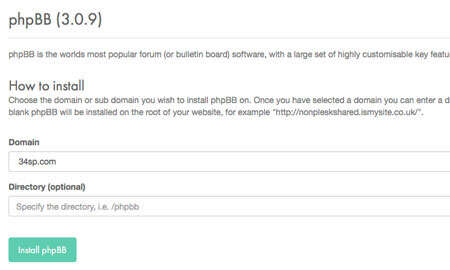 Please note: The phpBB installer will overwrite any existing content in the directory or path it is installed to. 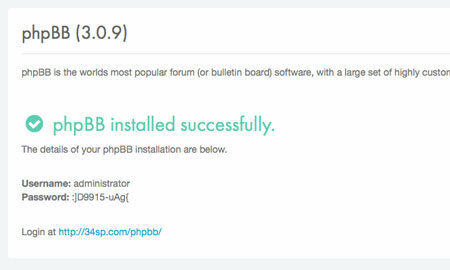 After you have clicked on the 'Install phpBB' button, the installation process will begin. Upon completion, the message 'phpBB installed successfully' will be displayed. The installation process is now complete. To start using phpBB simply follow the login link and enter the username/password provided.